So, I just threw all of my music from my iPod 4G (Photo) into the pantheon music app, and all's good there. But when I try to sync my iPod through the music app, I just an error message. The only other thing I have running is Chromium, so I have no clue as to what operation it's talking about. It sounds like this a known issue with Music. 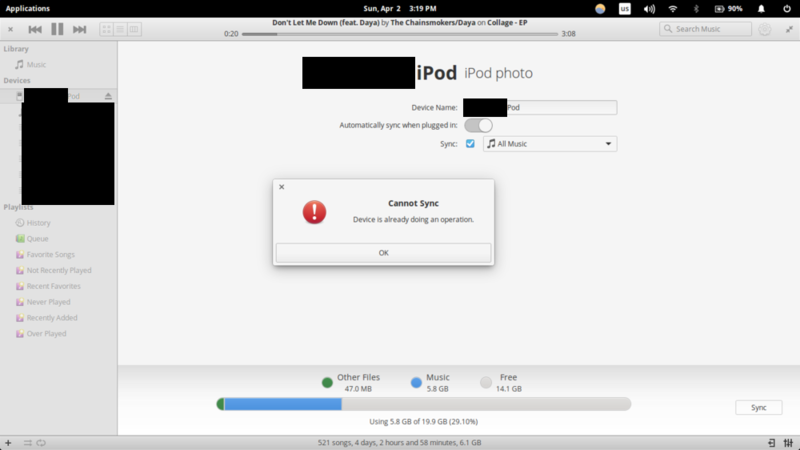 Until this problem is fixed, you could use a standalone sync app such as gtkpod or sync using music player such as Rhythmbox.